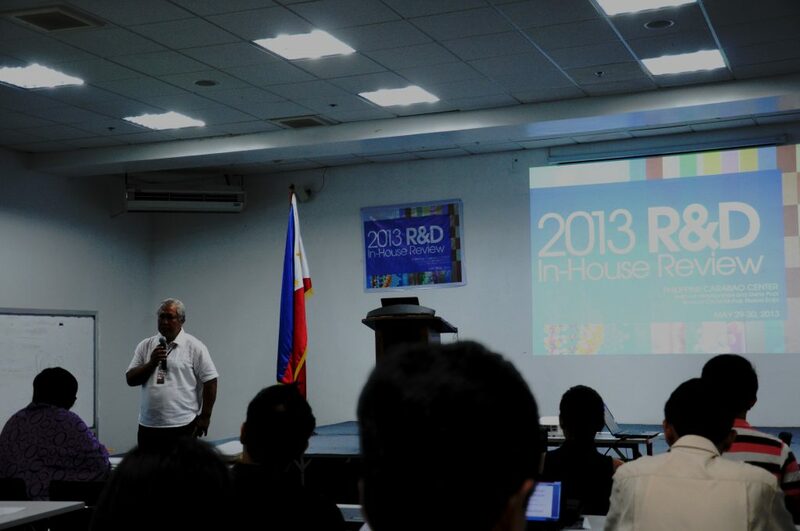 True to its mandate as a premier research institution for livestock biotechnology, the Philippine Carabao Center showcases the results of its efforts on research and development (R&D) in this year’s PCC R&D in-house review from May 29 to 30. Focusing on the thematic areas on genetic improvement, animal health and nutrition, reproductive biotechnology, and socio-economic issues relevant to the carabao industry, the two-day event accepted 20 completed and 13 on-going paper presentations. Dr. Eric Palacpac, national R&D coordinator, said that the in-house review is a monitoring and evaluation tool for PCC to ensure that research initiatives are aligned with its R&D Agenda. “It serves as a venue for sharing research results with the R&D community and as a motivating tool for researchers to conduct pertinent studies in line with PCC’s mandate,” Dr. Palacpac added. The event will be capped with a recognition program for the best paper and best presenter as its way of recognizing researchers who excel in their respective disciplines. Among the participants are scientists and researchers from the PCC national and regional centers and students from PCC host universities. Results of the different researches are expected to provide industry stakeholders a clearer understanding of the foundation and dynamics of the animal industry and eventually hasten its development.